When decorating our houses, we are increasingly thinking not only about the performance characteristics of a particular material, but also imagine how it will look in a general setting and in combination with individual interior items. So, now we consider one of the most common variants of floor design in different rooms. 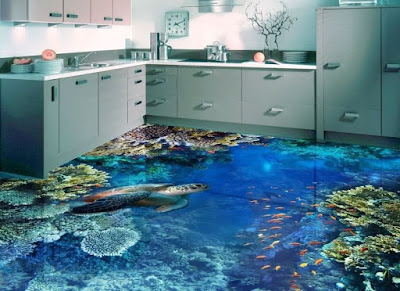 3D epoxy flooring with 3D floor art. 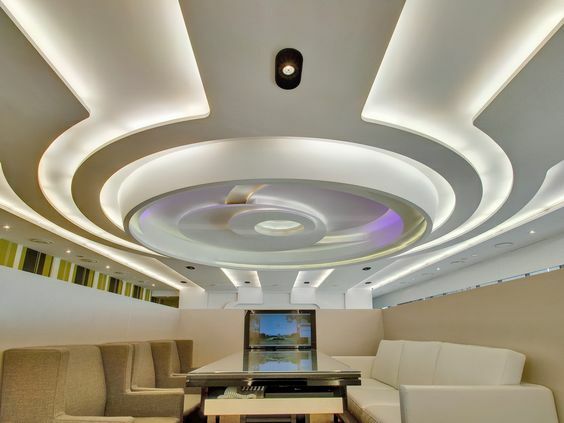 Modern False ceiling designs are an excellent option to add another design element to your projects. In addition to being a way to combine designs, textures, shapes and lighting elements together, modern false ceilings are not just decorative. They can also help to hide a nice little slab for a uniform finish, as well as being a cover to hide pipes, ducts and lighting wiring, besides being insulating elements, both thermal and sound. Vinyl, wood, plaster, plaster of Paris (POP) ... the options are endless; and surely you have thought of including these false ceiling materials in your projects or designs without having the slightest idea of how they are installed. 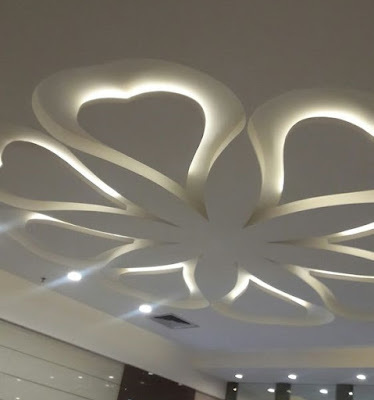 The good thing is that we bring you a small guide with everything you need to know when installing gypsum board false ceiling designs in your home interior). Useful tips on How to choose your office ceiling design, The advantages that false ceiling designs with LED indirect lighting brings to your office and 20 office false ceiling design ideas for inspiration. How to choose your office ceiling design? If you have an office design project from scratch you will probably have to think about many more things than the furniture that will allow comfort to the workers of the company. In fact, in integral designs, other aspects come into play such as painting, floors or ceilings. In this case, we want to discuss an element that is usually successful because of the many aesthetic and functional advantages it offers to those who choose it: false ceiling designs. Have not you thought about installing a falling ceiling as your office ceiling design? Then you have to discover all the features offered by this option. The false ceiling designs are elements that allow achieving an aesthetic improvement of the premises in general. Although the office ceiling design is an element that in principle is not given too much relevance, will be key when creating spaces that have personality, with quality finishes, and also to generate feelings of light, greater height or even greater extent of the office itself that is designed. If you have never worked with false ceiling designs for offices, or do not believe that they are the right element for this work that you are now creating, the following list of its advantages may clarify a little more the decision you are about to make. Do you want to know about them? 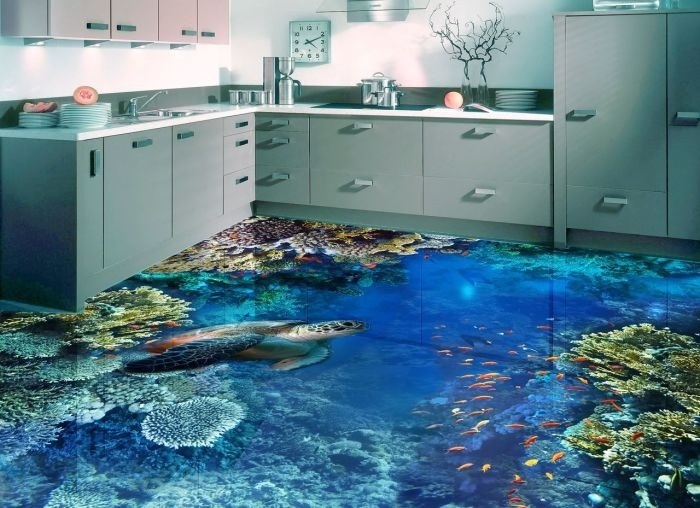 Should we install 3D flooring design images with epoxy flooring paint in our kitchens? read this article and see the epoxy 3D flooring murals 2019, designs, prices, installation, and cleaning. 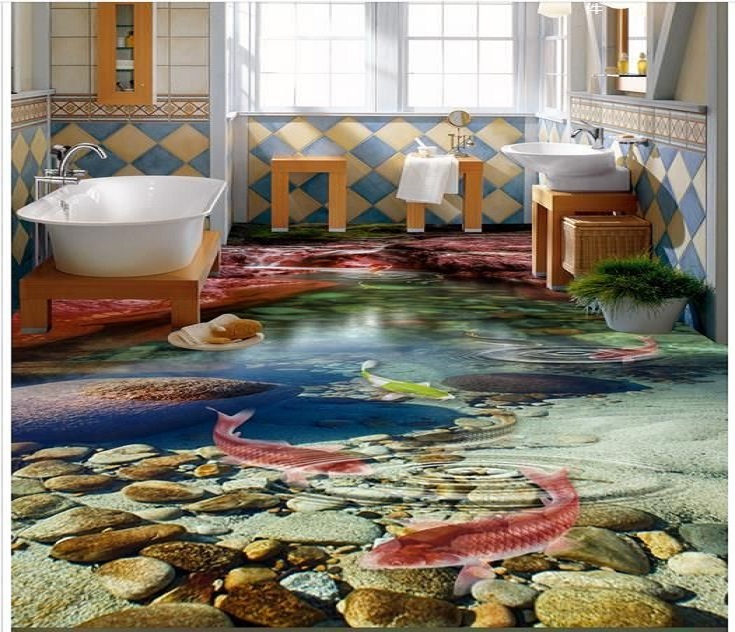 We previously posted a complete guide to 3D epoxy flooring that explains the characteristics of this type of floor-painting and its features in details; as well as how you can use it and the average 3D flooring prices per square meter in the market and how you can install epoxy painted 3D floor art yourself if it's in a tight range. We also discussed the use of promotional 3D flooring in malls, shops, hotels or the promotion of a new product. If you've read about 3D floor art painting before, of course you know it's mainly used in high-load locations and locations subject to risks such as humidity, heavyweights, continuous and frequent use and high temperatures. Accordingly, its use started in halls, garages, 3D bathroom floors, swimming pools and other places that require a highly capable floor that can block humidity and heat. Our question is, is 3D epoxy flooring suitable for house-kitchens, restaurants, and hotels or is there another kind of flooring that's overall better for these places in particular? Generally, kitchens come second after bathrooms in terms of frequent use and exposure to temperature risks, humidity and high loads – especially in houses where families of 4 or more members live. Vacation, the sea, the beach - the scorching sun has long set in the sky, a pleasant light breeze brings with it a coolness and the bright stars of different galaxies scattered right above my head. You will not see such a spark in the city, but here it seems that it is enough to just reach out and touch Venus. A fascinating, soothing atmosphere. How do you want to transfer all this to your city, apartment or house, and enjoy it every day without waiting for your next vacation. 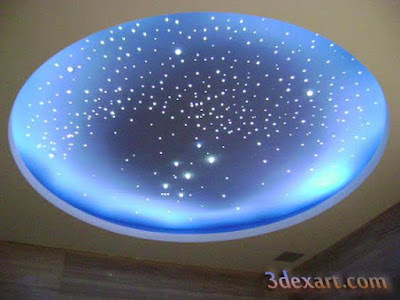 And something like this can really be done by creating a star ceiling in the bedroom, the living room, the bathroom or even the kitchen. There are many options for implementing this idea: for different wallet, wishes, and opportunities. It is very simple, non-cost solutions, and there are complex and expensive ones with flying comets, Supernovae, and other special effects. The simplest and cheapest way to create placers of star ceiling shining at night on the ceiling, without using a stretching cloth or false ceilings, is simply to paint them with luminous paint or varnish on the main ceiling. This option is especially relevant in cases where the ceiling is low, and it is not possible to lower it for mounting a more serious construction. To the day the ceiling does not seem so depressingly white, you can create some drawing. 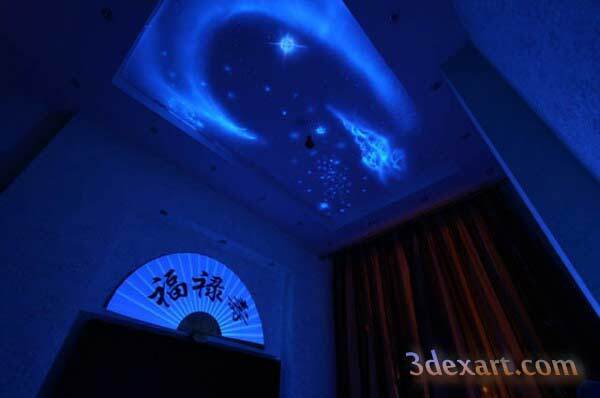 It can be a starry sky ceiling, a normal sky with peeping stars or any other non-cosmic theme. You can execute the drawing in any graphics editor. Then contact the company, where they are engaged in printing on the Oracle film, which is used in advertising. This film is strong enough, self-adhesive, conveys colors well and is easy to install. Since the maximum width of the oracle is 2 m, the resulting pattern will have to be broken into fragments so that the joint is not visible afterward. It is often difficult to decorate a room for different purposes. Each area should be clearly defined and visually appealing. Otherwise, your home might seem chaotic and not ordered. To decorate a living room with dining area as two separate rooms or as it called living-dining room design, but with common elements such as colors, fabrics, and patterns, would be the ideal solution. Today we give you some tips, suggestions and living-dining room ideas with dining area in perfect harmony. Let yourself be inspired! Paint all the walls in one color scheme, choose a color that is suitable for both areas. 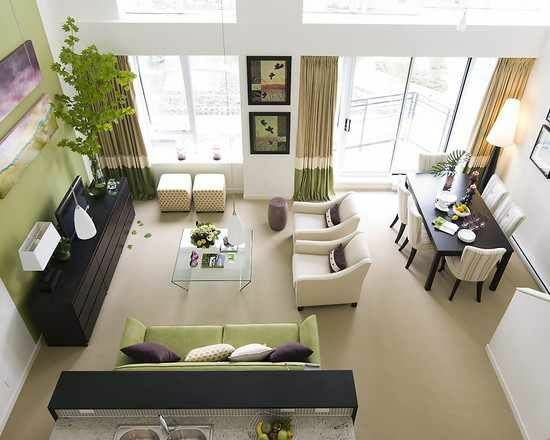 If the living room dining room combo area is small, choose a neutral color such as pastel yellow or sage green. Lay rugs on the floor and arrange them so that they visually define the living space as two separate areas. Place a rug under the dining room table and another under the coffee table. Both must have a similar pattern. In this way, a smooth transition is guaranteed and both areas appear to be visually connected. You can also create a common line with lamps.